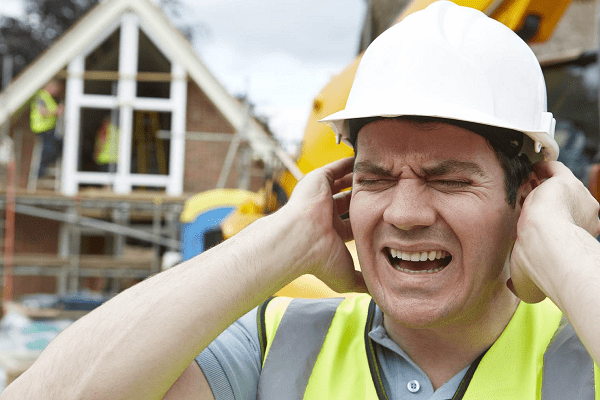 Tradies across the country are at risk of developing permanent hearing loss due to noise hazards on the job. Tradies are being urged to listen to the latest guidelines on how to protect their hearing health. It’s as simple as wearing hearing protection devices – at work and during leisure time. Hearing loss due to excessive noise from machinery and power tools is one of the most widespread, yet preventable, workplace injuries. But there is good news, with recent findings showing that tradies who use hearing protection devices at work are also more likely to use them during noisy leisure pursuits. A national survey of more than 8,000 Australian adults conducted by the National Acoustic Laboratories (NAL), the research division of Australian Hearing, reveals that workplace users of hearing protection devices are five times more likely to use them at leisure. Men were significantly more likely than women to use hearing protection in 10 out of 20 leisure activities, and those with tinnitus were also more likely to don the earmuffs. “It’s heartening to see that use at work predicts use ‘at play’,” NAL senior research psychologist Dr Elizabeth Beach says. “If you’ve worked with noisy machinery or tools and have noticed that you can’t hear the television or phone as well as you used to, or if you’re noticing you need to ask people to repeat themselves, you might have sustained some noise-induced hearing damage. Choose hearing protection that’s comfortable to wear for long periods – whether earmuffs or earplugs, disposable or reusable – it’s critical to find a style that works for you. Remember: 85 decibels is considered the Safe Noise Threshold2 – if the sound of your tools is loud enough that you need to raise your voice to be heard, appropriate hearing protection should be worn. “Research suggests that use of hearing protection devices does reduce the risk of hearing loss, and there have been many advancements to improve usability in the workplace,” Australian Hearing managing director Kim Terrell says.